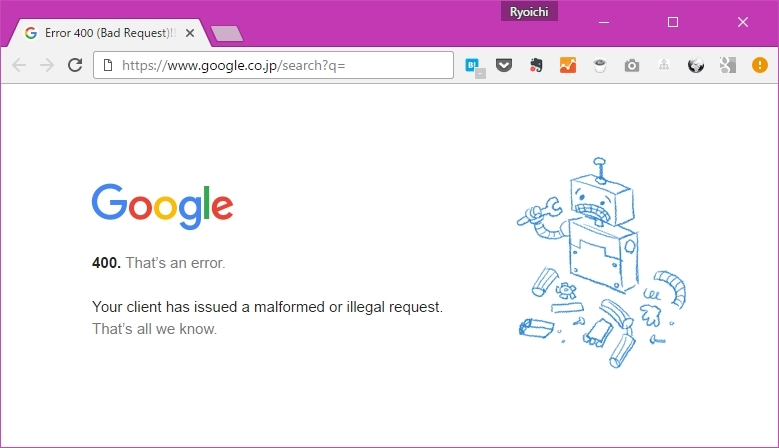 Google検索で400. That's an error. Your client has issued a malformed or illegal request. That's all we know - メンチカツには醤油でしょ! !